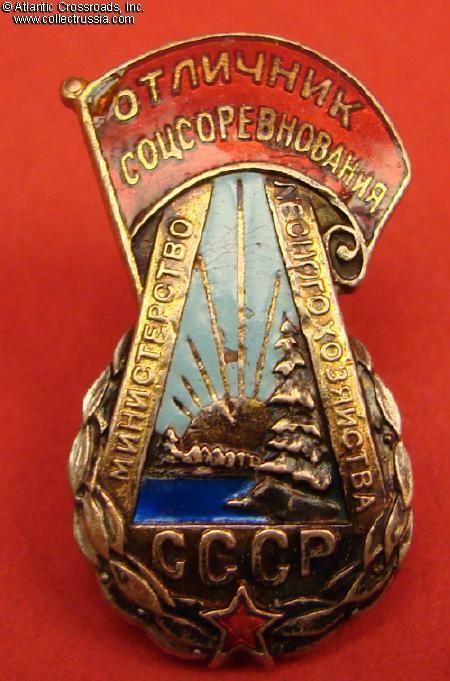 Badge for Excellence in Socialist Competition, Ministry of Forest Industry, #8037, 1947 - 1950s. 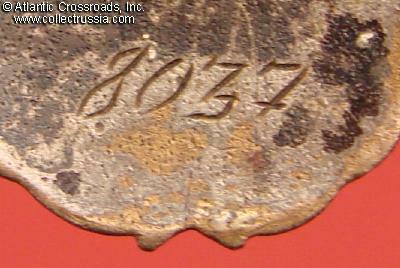 Brass, enamels; 31.8 x 17.6 mm. Fine overall condition. 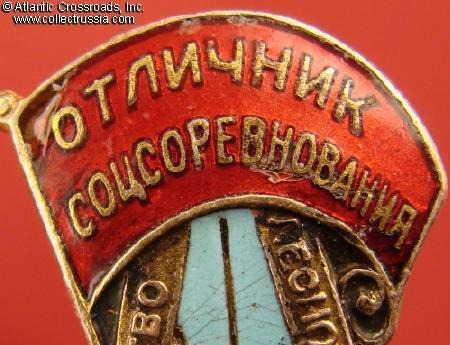 The enamel on the banner has a small repair in the upper left corner (to the left of the first "o"), a few small surface flakes and light buffing. Small chip to the azure enamel in the center, between the sunrays. The azure enamel also shows barely noticeable hairline cracks, tiny flakes and contact marks. The details are very well defined. 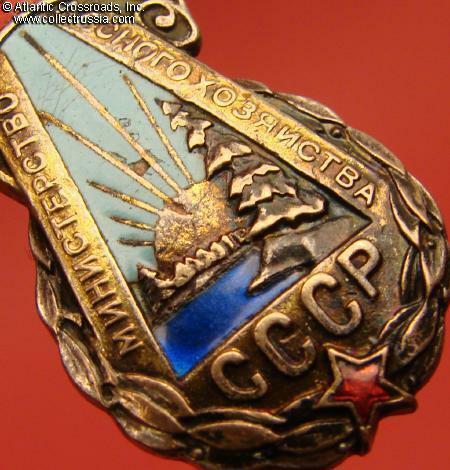 Good amount of the original gold plating to the edges forming the triangle is still present; likewise the silver finish is well preserved on the wreath and almost entirely intact on the reverse of the badge. 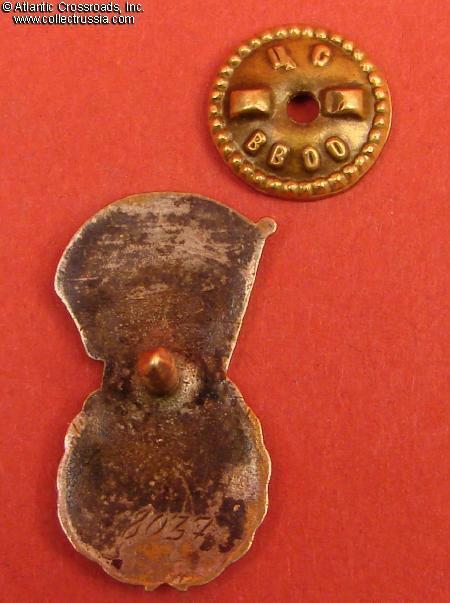 Comes with maker marked period screw plate which is probably original to the badge. /"Avers 8', p. 125, fig. 638/.